This tea is made from top grade orange pekoe Ceylon black tea scented with the elegant fragrance of bergamot. The Ceylon tea is grown at the altitude of 7000 feet above sea level from the Sri Lanka region. 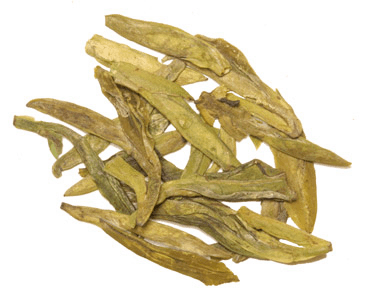 When brewed this tea produces a bright coppery color liquid with a piquant and refreshing taste. Enjoy at any time, whether mid-morning or after dinner. Traditionally Earl Grey was a blend of Chinese and Indian teas scented with the oil from the citrus bergamot fruit - a sort of orange. The stories of Earl Grey are numerous. One such tale tells how a British diplomat on a mission to China saved the life of a Mandarin and as a gift of gratitude was given the recipe for this flavored tea. This diplomat upon his return to Britain presented the tea to the Prime Minister of the day, Earl Grey (1830-1834). Try our English Favorite Tea Sampler. A Great Value! turned daughter #1 into a tea lover and she is spreading the love in her office!! My daughter came over for an impromptu tea party and after sharing my Russian Earl Grey, Her sticky fingers re homed this tea and we now have another connection and new experience to share. We have a health care career connection and now have our own special way to recharge and reenergize ourselves to carry on with a renewed spirit and dedication for work and life. This tea has an amazing flavor and taste! I love this tea, usually. I have enjoyed Earl Grey for 40 yeas. I have have many bands and mixtures. I recently fell in love with enjoyingTea's blend and after finishing my last two lbs. I purchased three more. ( yes, devoted daily drinker). This new mix has a bit of a citrus edge that I don't care for and simply not enough bergamot. My last purchase was beautiful, this one, not so much. Good luck! My order showed up in a timely manner. The tea smells great! Vert happy wirh the product. Excellent in taste and value. If you are a Earl Grey tea fan, then this will not disapoint you. It's the best that I can find. Fantastic aroma, beautiful color, and is absolutely delicious. If you use an Earl Grey tea bag, get ready for a new taste sensation, the tea bags you buy at the super market can't even come close to the flavor of this tea. Plus, the value on the 1 lb bag is great. Nice smooth taste. It is so good with milk. I previously had tasted the Earl Grey Black tea -- one of the best Earl Grey's that I have experienced. I recently found the source and made a purchase. I continue to enjoy my "chat with the Earl" every morning. It is a great way to start the day. Top Shelf Black Tea! 10-Stars Really!!! I got the pound of Earl Grey for $20, it's a great deal. The quality is top notch. I mix it with Yerba Mate for my morning brew since I quit drinking coffee. Very nice for a blend and price is nice. I have tasted Earl Grey teas down through the years, however this tea is bold with bergamont flavor which I think makes this tea the best I have ever tasted. The most delicious earl grey tea! Fantastic customer service. The product arrived in a timely fashion. Here's how good this tea is. 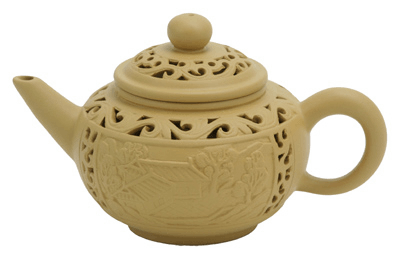 I was stopped by airport security because I was checking in my bag with my cast iron tea pot, which I guess I might have used to smuggle drugs, as the Xray thinggie can't see through it. Anyhow, the security guy opens the pot and says, "Wow, that's one fantastic smell. What is that?" Well it tastes much much better than it smells. I really like this tea. When I open the tin I take a deep breath--it smells wonderful and makes a great pot of tea! Wonderful flavor! Best I have ever tasted. Makes others appear flat in comparison. Mystic aroma and soothing flavor. Most excellent! I try to keep this because it's my very special, all-time favorite. I'd used my last spoonful but my order came very quickly, within 4 days. I highly recommend EnjoyingTea for their excellent products and fast service. Very nice flavour. Great with milk and sugar. Absolutely love your Earl Grey. I've read remarks from people who have traveled the world & found your tea world class. I am just an average middle-class American with little chance of traveling. However, when I drink this tea, I'm transported to faraway regions. This is the best earl grey that I have come across. I drink this regularly, I've also used this to make ice cream - fabulous. I just recieved this tea in the mail the other day. Service was great, I got my tea sooner than expected. This has to be by far the best blend of Earl Grey that I have ever had. I will be frequenting this site for all of my tea needs. If you are new to whole leaf tea this one is perfect for you! If you have only had bagged Earl Grey before this is a must! It is so much better than all bagged Earl Grey. Some of the best black tea I have had. Very smooth, nice after taste, better than a cup of coffee to get you going. 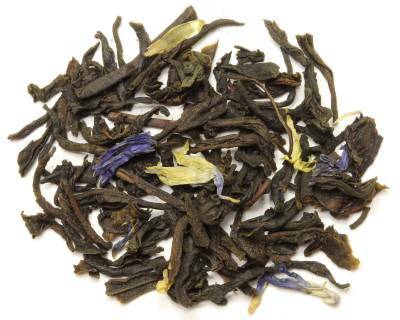 I have been using loose leaf Earl Grey Tea for several years now and have not found a better value from other suppliers. The price is competitive and the quality of the tea is top grade. Delivery by standard shipping is also timely and arrives as promised. I received a Black Tea sampler and liked this particular one so much I had to order a larger size. I prefer it to tea bags and love to have a cup every morning. 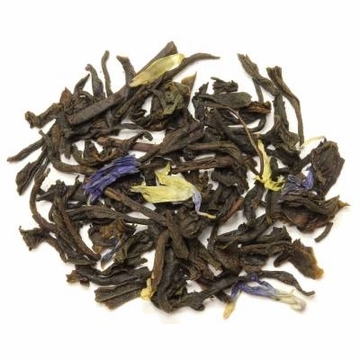 Earl Grey is my all-time favorite and this blend is GREAT! If it get's any better, I'd like to know. For anyone that enjoys black tea and has never tried Earl Grey, give this a shot, you'll be glad you did. Hands down the best Earl Grey I have ever had! It tastes amazing! Even the room smells awesome when brewing. Get this tea! My wife is the Earl Grey lover. She says it's the best Earl Grey she's ever had. I have to agree it's very potent, I'm just not an Earl Grey lover. This is some of the best Earl Grey Black Tea I've ever tried. A tea I'd recommend to any true tea lover.